1959 – The U.S Navy built the first satellite navigation system called TRANSIT. It was designed to locate submarines and was painfully slow but laid the foundations for GPS we know today. 1974 – The Air Force launched the first GPS satellite into space. 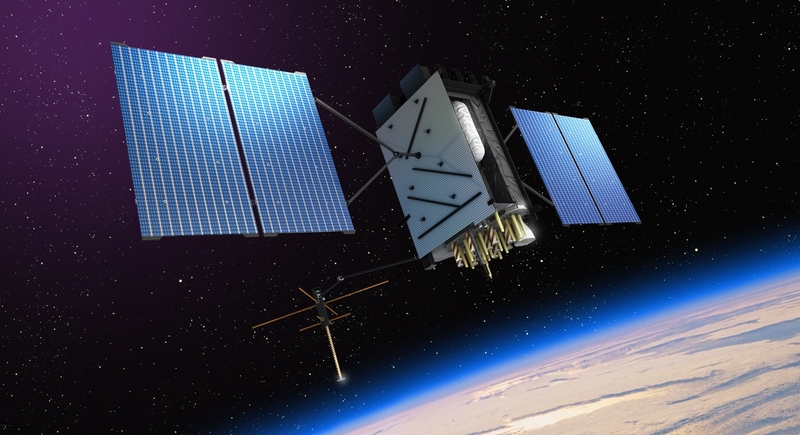 The satellite was the first of a planned 24 for GPS use in a project called NAVSTAR. 1978-1985 – Military launches 11 more satellites to test the NAVSTAR system, also known as the GPS System. Some of them carried sensors to detect the launch or detonation of nuclear weapons as it was during the Cold War. 1983 – President Reagan offers all commercial airlines accessd to GPS technology after a Korean Air plane is shot down over Russian airspace after veering off course into Soviet airspace. 1985 – The U.S government offers contracts to private companies to develop portable GPS receivers for planes and ships. 1989 – The first handheld device for consumers is released, called the Magellen NAV 1000. 1999 – The very first mobile phone with built in GPS was released – the Benefon Esc! It was mostly sold in Europe. 2000 – The U.S Government had previously degraded the capabilities of commercial GPS, but the Defence Department ended this in 2000, meaning GPS got ten times more accurate literally overnight. Soon many more industries got on board with GPS, such as fishing, forestry and freight management companies. Personal devices such as the TomTom Start car navigation system were released just after the new millennium. 2001 – GPS receivers got smaller and less expensive and many more companies began manufacturing them. 2005 – A new generation of GPS satellites were launched from Cape Canaveral, called Block II. These satellites transmitted signals on a special dedicated channel for civilian use. 2014 – Block III satellites launched, adding an extra civilian signal and improving the performance of the existing service. This entry was posted in Automotive World and tagged A Brief Timeline of GPS by Barokah. Bookmark the permalink.